For the birds…and the bears, elk, deer, moose, cougar and fox! A local non-profit in our valley champions land use planning to protect the environment and wildlife corridors. 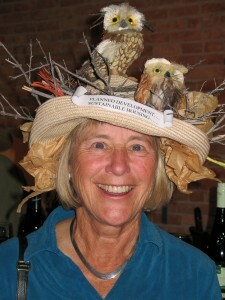 A hat, encouraging sustainable housing developments, was designed for a board member’s appearance at the non-profit’s annual fundraiser.